What a summer it has been for vagrants! Since the last update, NS has had its second ever Common Buckeye, and NB has had it first ever Giant Swallowtail. Mary Millard-Smith and Christine Noronha photographed a Common Buckeye at White Point, Queens County, on August 9. The butterfly appears to be quite fresh, suggesting that breeding may have occurred locally. Common Buckeye caterpillars can feed on a variety of species in the figwort family (the family that snapdragon and butter-and-eggs is in), so if you happen to see a buckeye keep an eye out for any egglaying. Kevin Renton photographed a Giant Swallowtail at Canaan Forks, Queens County, also on August 9. This the first photographic record of Giant Swallowtail for New Brunswick, and it was documented only days after Ron Wilson reported seeing a Giant Swallowtail off Deer Island. This suggests there are a number of Giant Swallowtails around, so keep your eyes peeled! 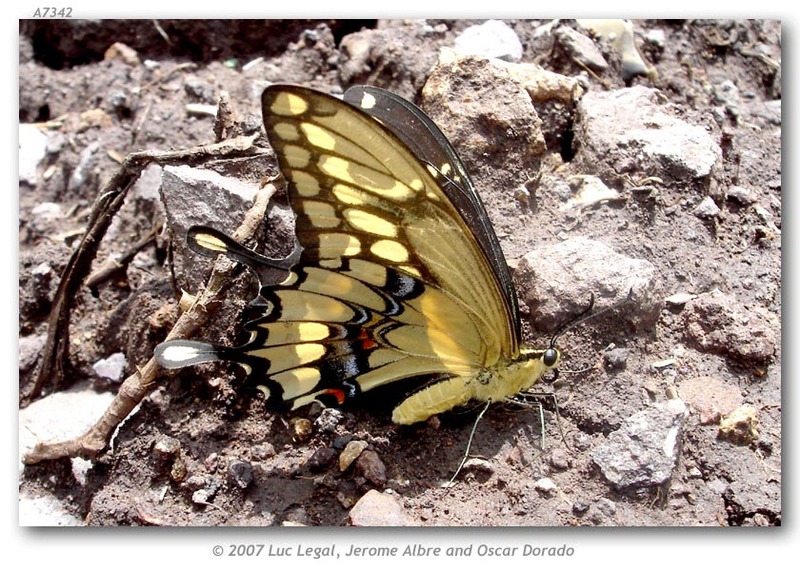 There is one previous record of Giant Swallowtail from the Maritimes, based on a specimen collected at Windsor Junction, Nova Scotia. Giant Swallowtails have recently experienced a massive range expansion in eastern Canada. Once considered a specialty of extreme southwestern Ontario, in the past decade the species’s breeding range has expanded as far north and east as Ottawa and Montreal. In the Maritimes, Giant Swallowtail is considered a vagrant, and that status likely won’t change. Giant Swallowtail caterpillars feed on plants in the citrus family, which is absent in the Maritimes. It may however become a much more regular vagrant as numbers in Quebec and eastern Ontario increase.